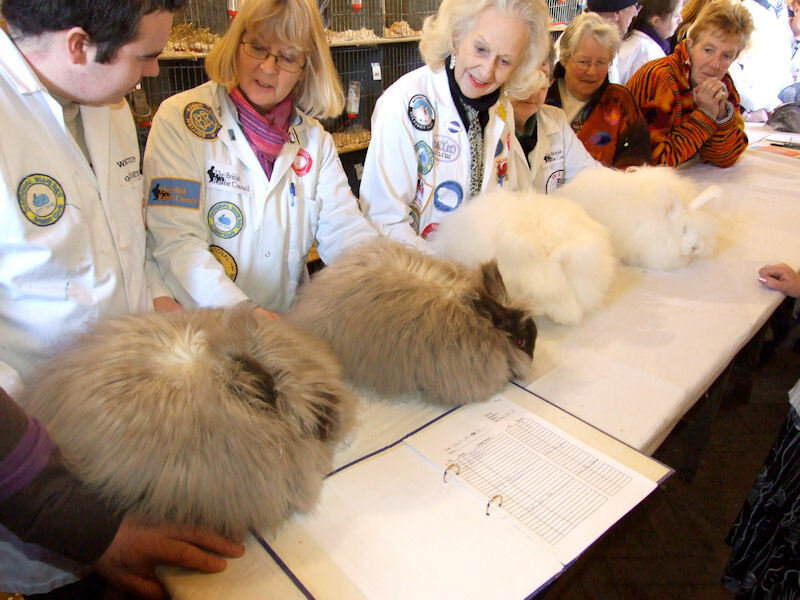 If you are starting down the journey of owning an angora and want to start showing it is advisable to do some research before deciding to just turn up at a rabbit show to show your angora. You will need to be a member of the British Rabbit Council (BRC) and in order to find out where shows are, order a copy of Fur and Feather magazine, this lists shows and other information that will help you. 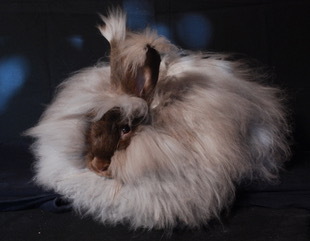 Also you will need to have bought a good standard of angora rabbit initially and hopefully you will have found a reputable breeder of angoras that adheres to the breed standard near you so they can advise you on your choice of angora rabbit and show you how to groom, clip and provide you with information on how to keep your angora healthy. 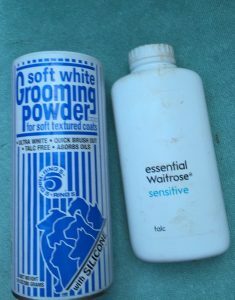 They will also tell you what you take with you to a show in order to show your angora off to the best advantage. 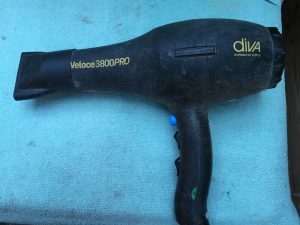 You will need a grooming kit, a wire to fill the show pen. Some food and water for the day and some hay to be tied to the show pen or put in a cardboard tube such as a toilet roll one. You should prepare your angora before you go, as time is quite limited when you get there especially if you are new. Not all shows will have access to electric plug sockets so be aware that any blowing of your rabbit may only be done at home. 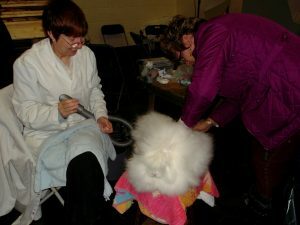 You will not be allowed to groom your angora at any time at the show after it has been put in its show pen. 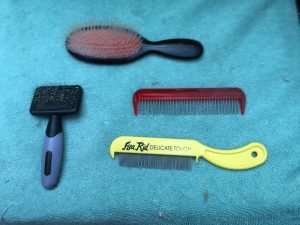 If it has made a mess of itself you could ask the secretary if you can clean it but that is all, it is not a time to start grooming all over again. Also check out our previous post on things you need to know about showing angora rabbits. Posted 07/05/2018 by SM & filed under Showing Angoras.